Discussion in '2018' started by Brandon Miller, Oct 18, 2017. Jlogano22, KahneRacing945 and Andy22 like this. Remember when the all white Lite car was a special scheme to commemorate a limited edition throwback white can? thisguy, shaneshine23, BrendonH12 and 6 others like this. SKF’s gone and Shell’s scallop is MIA on the hood. Also fitzgerald isn’t on the B-Pillar, but Draw-Tite is. I don’t recall them being a Penske partner this year. Perhaps just moving over from BKR. I remember something about Brad having plans for his BKR sponsors, when they announced they were closing, this is probably it. The white Lite car is a great scheme, personally. Hope they keep it as long as they can. 2014: "meh, it won't last long, it's a special paint scheme for sure..."
Remember when they wound up keeping the can design, too? 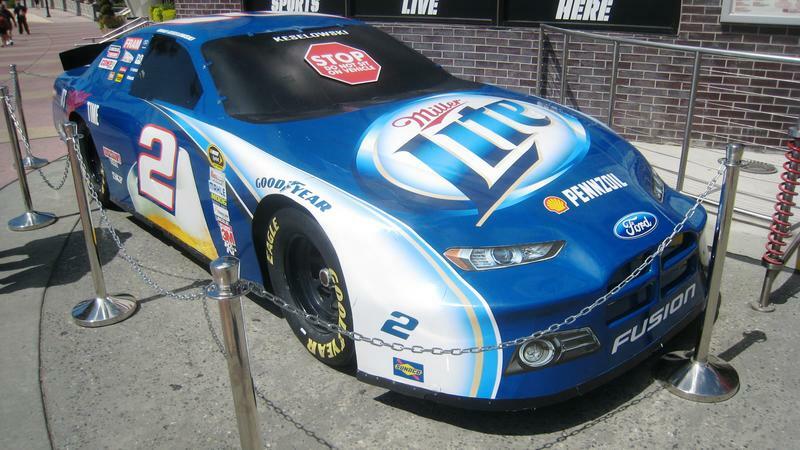 Keselowski2Wallace and Tetronix like this. Hey guys, remember the blue deuce? Keselowski2Wallace and BrendonH12 like this. Jlogano22 and Keselowski2Wallace like this. Well technically, the deuce is colored blue on this scheme. EDIT: Damn @jacobc62 beat me to it by a second. Keselowski2Wallace and jacobc62 like this. joeykraus19, Jlogano22, NascarMan32 and 13 others like this. Ah yes, the lovely Fodge Fusger Gen 56. Jlogano22, TColeman12, ShadowKnight508 and 4 others like this. Jlogano22, Racingfan83, GDP Racing and 5 others like this. ShadowKnight508 and BrendonH12 like this. Goblin, dalejr88rox, shaneshine23 and 13 others like this. NascarMan32, 11rows0f3, Keselowski2Wallace and 2 others like this. Keselowski2Wallace and Racingfan83 like this. Can't believe this didn't happen sooner.. awesome scheme. Wow... that's a must have diecast for me. Never thought they'd move to cup. Keselowski2Wallace, Hendrick4life and Ceafus 88 like this.